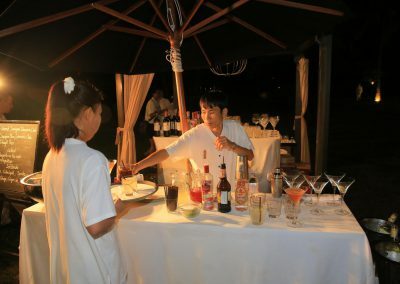 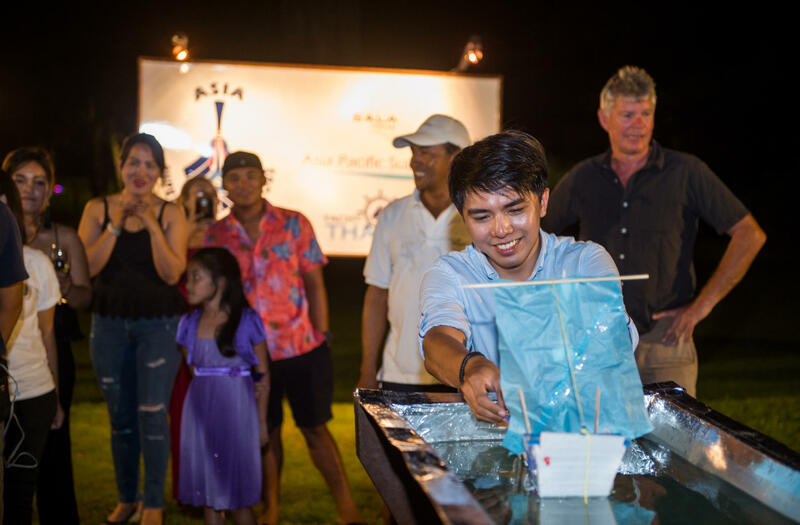 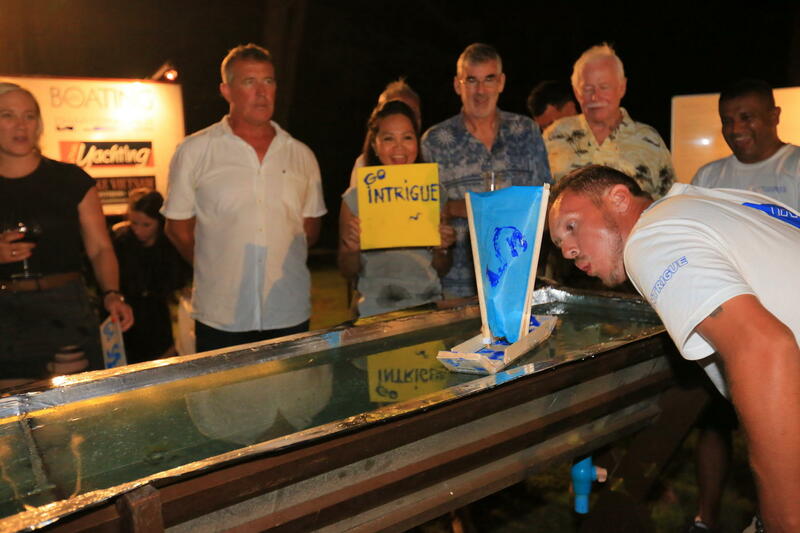 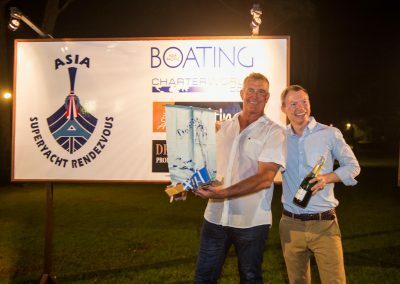 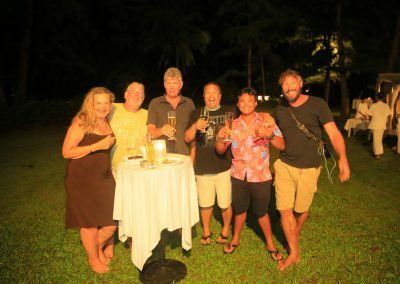 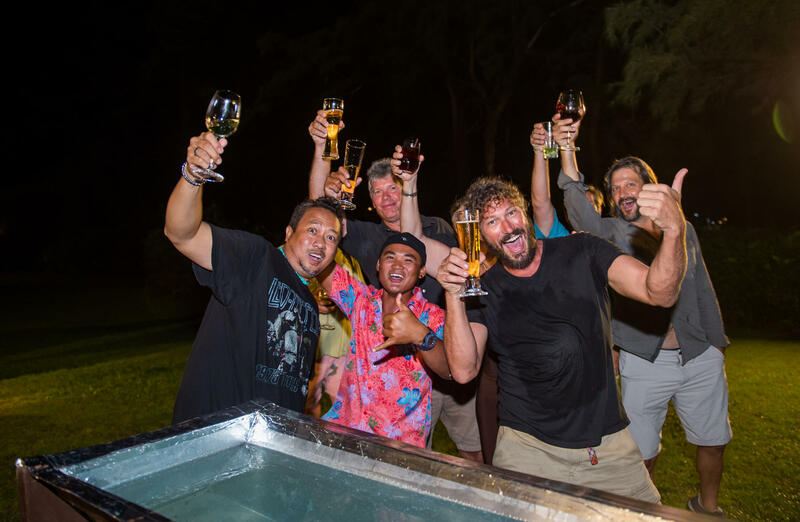 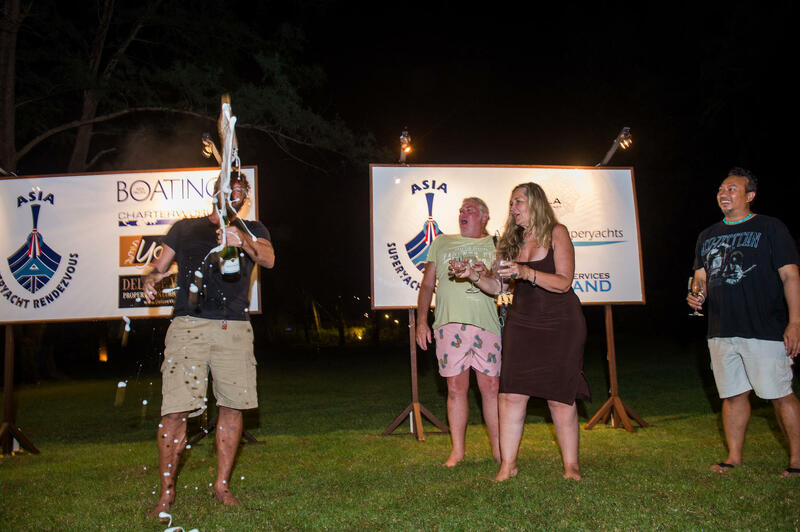 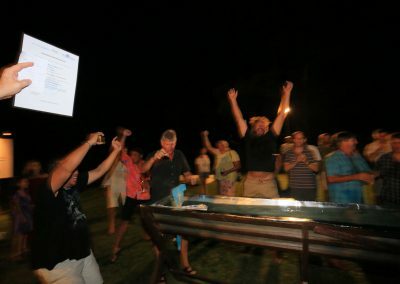 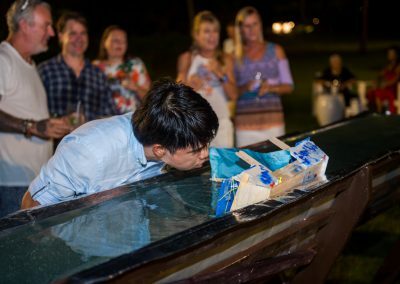 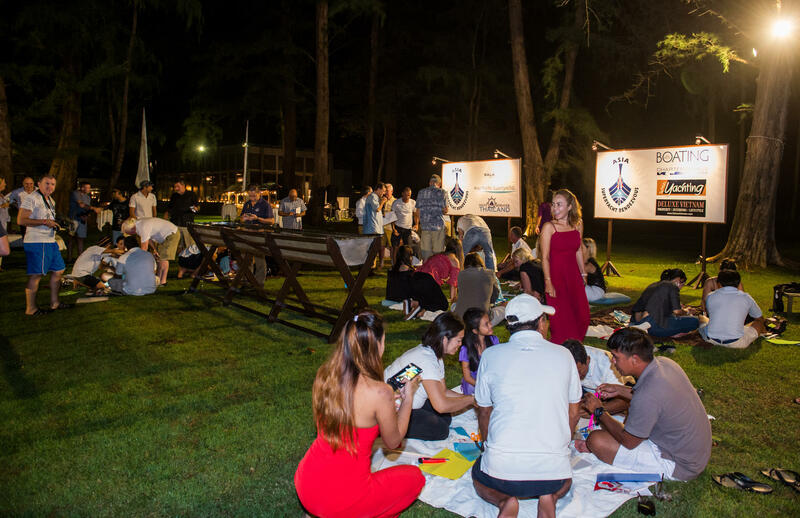 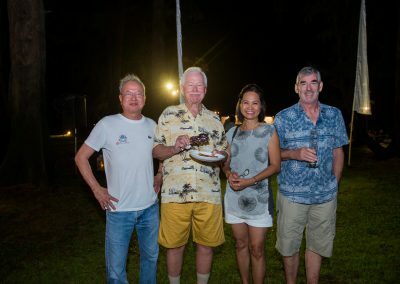 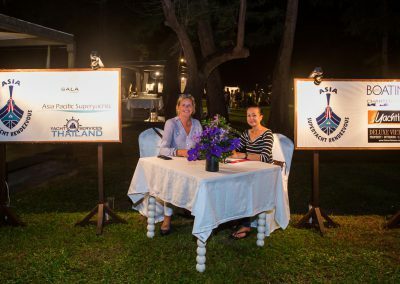 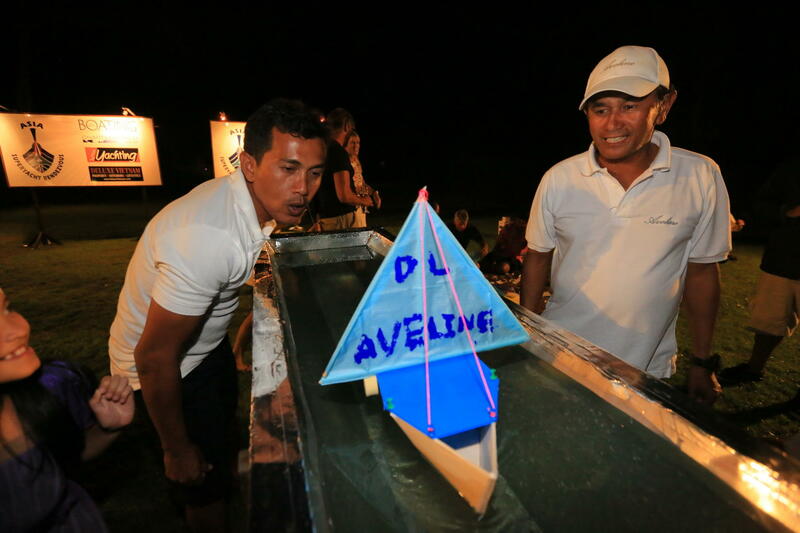 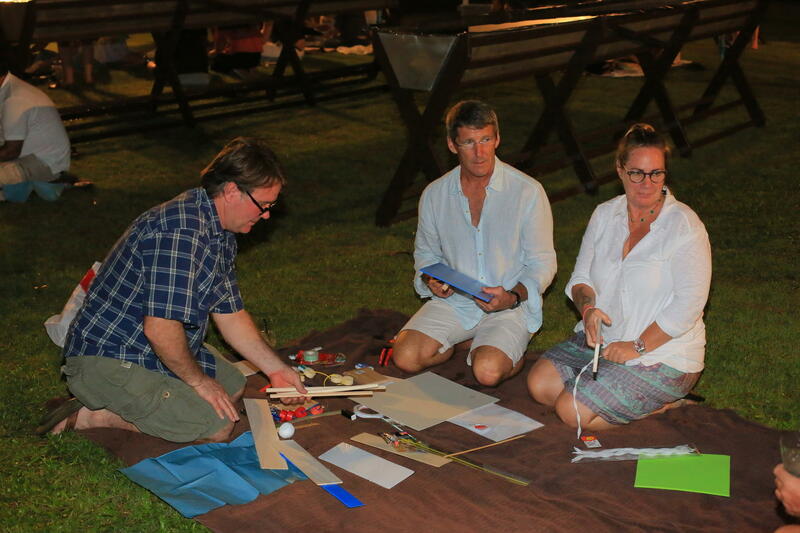 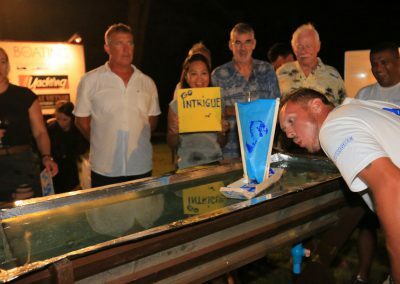 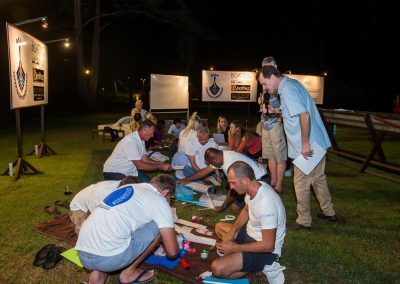 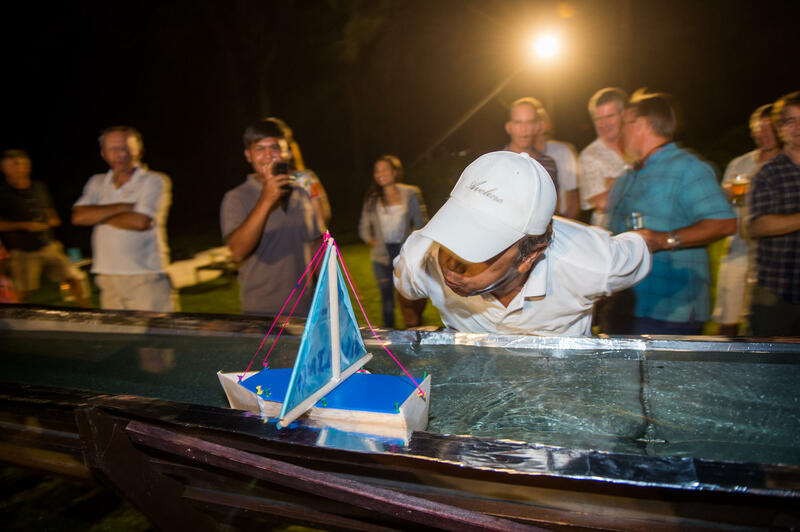 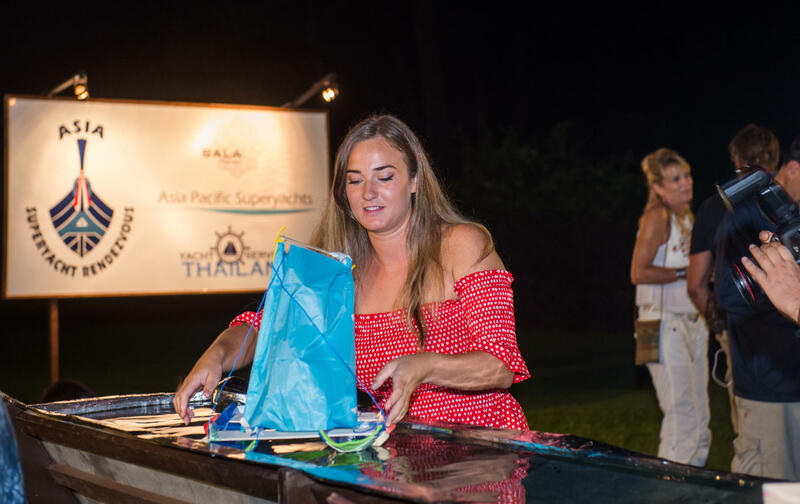 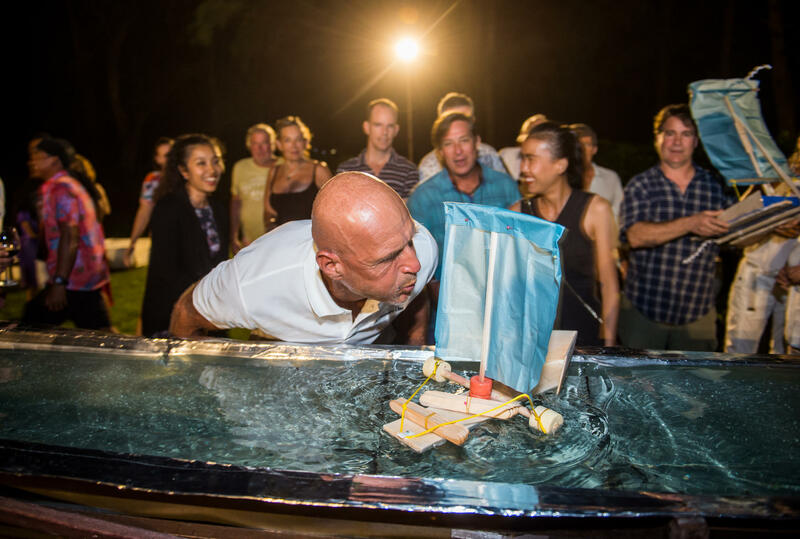 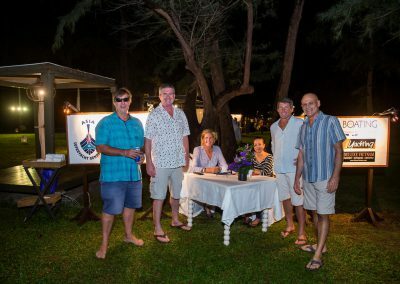 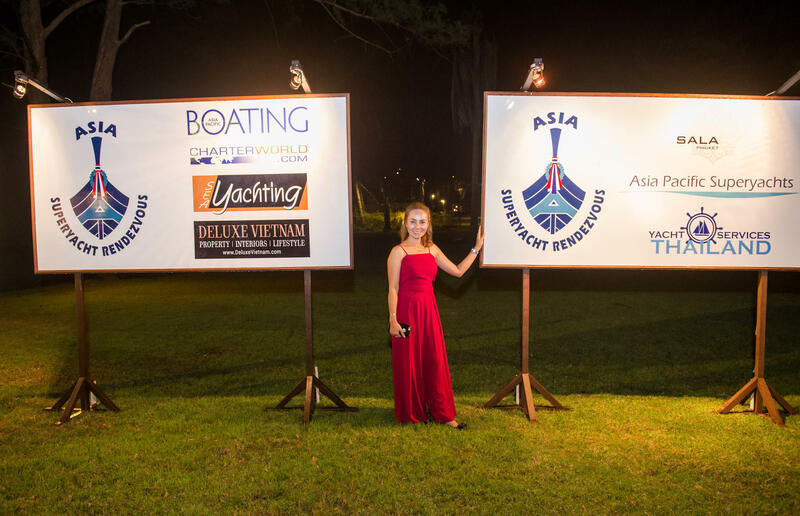 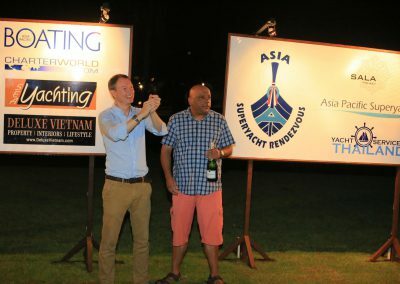 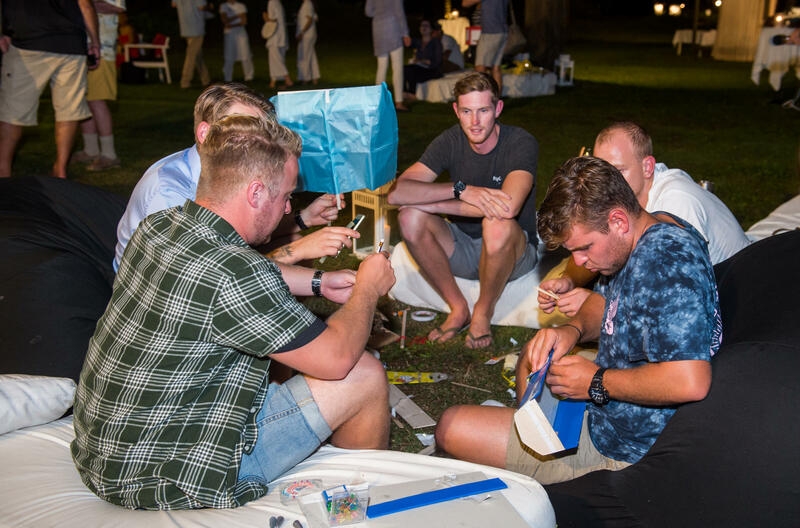 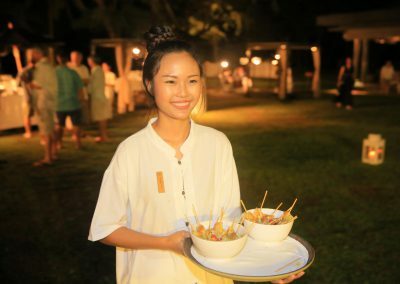 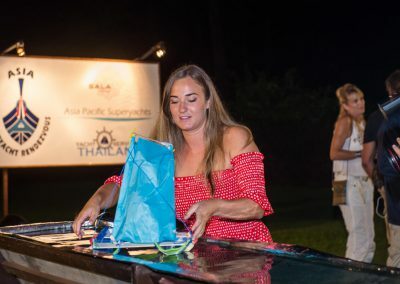 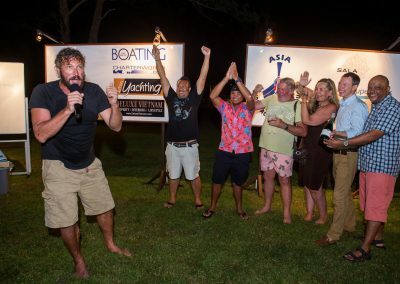 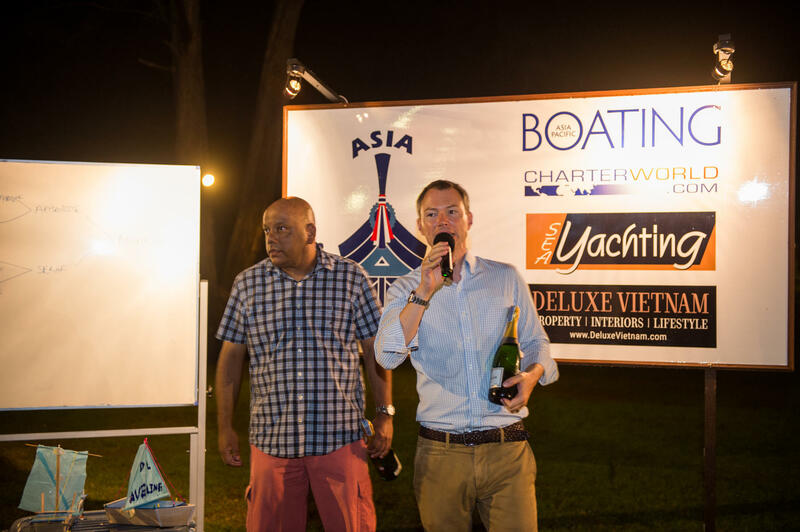 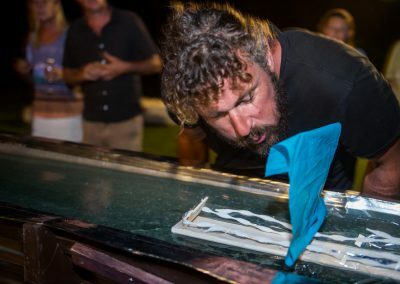 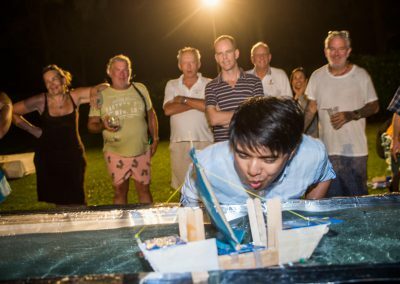 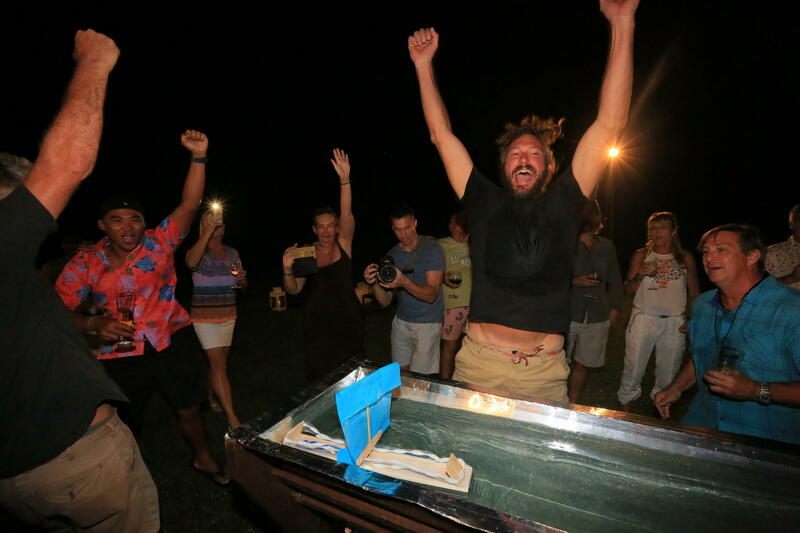 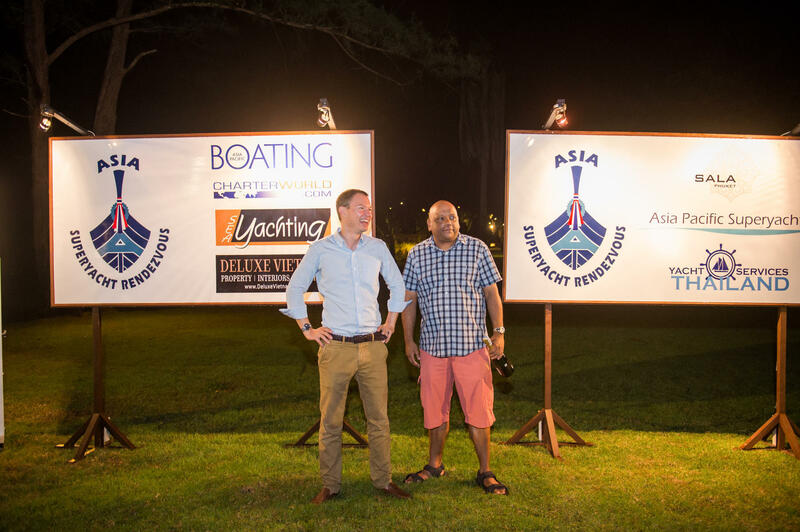 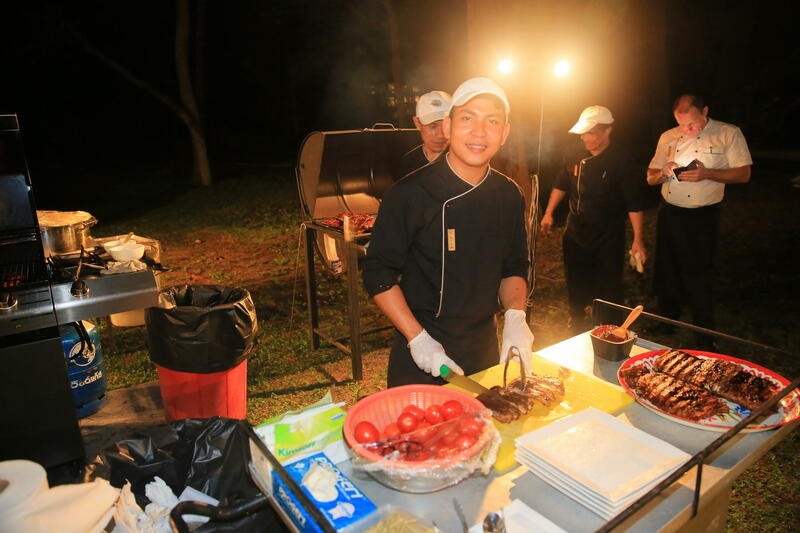 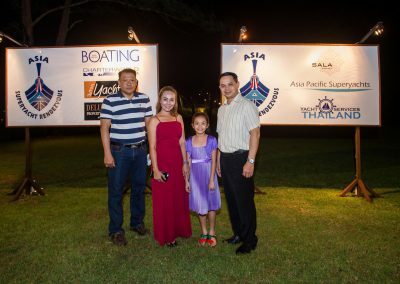 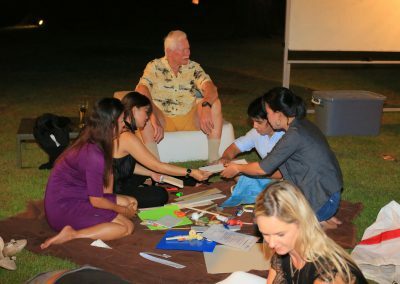 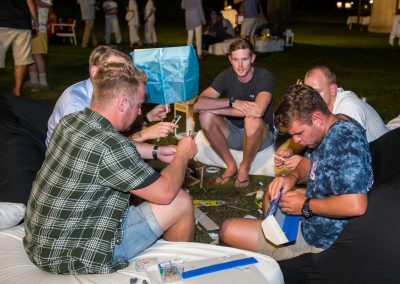 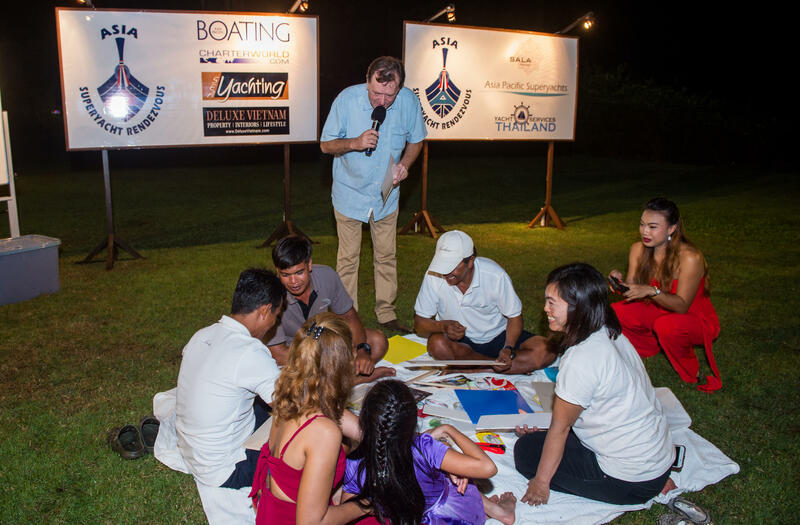 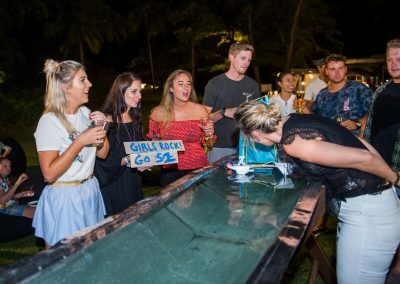 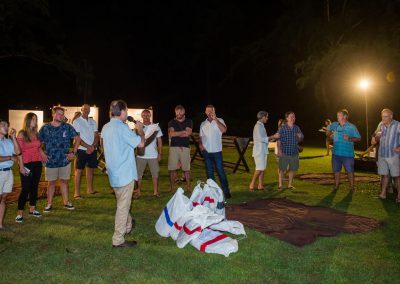 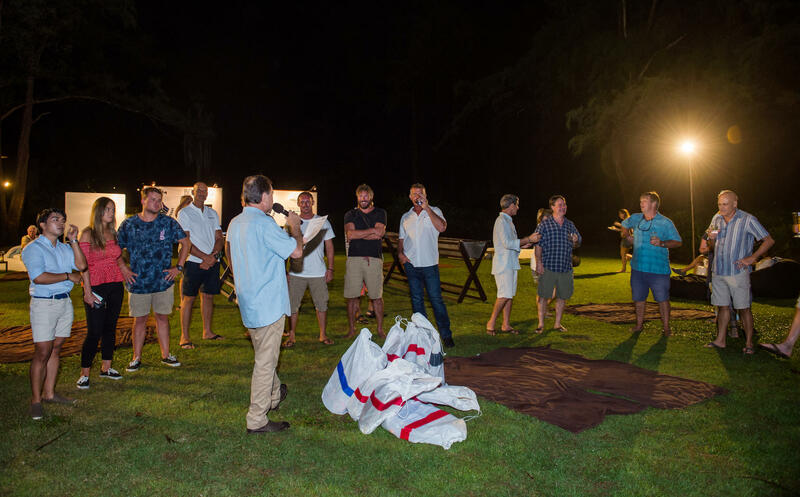 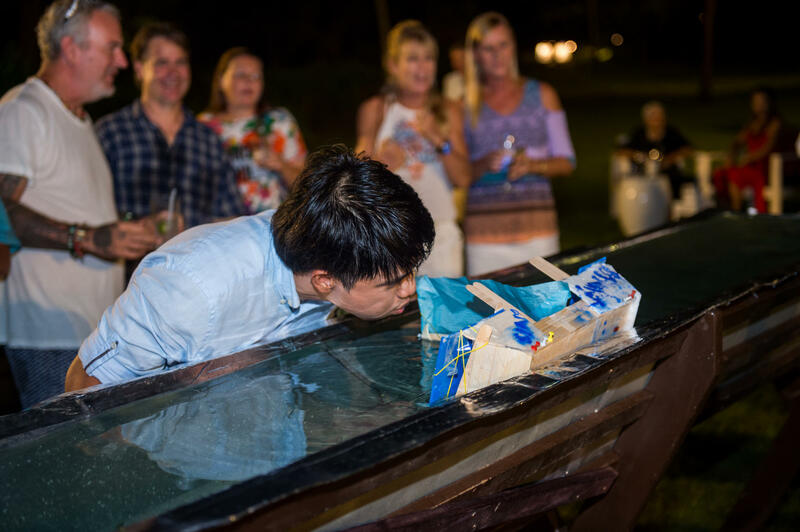 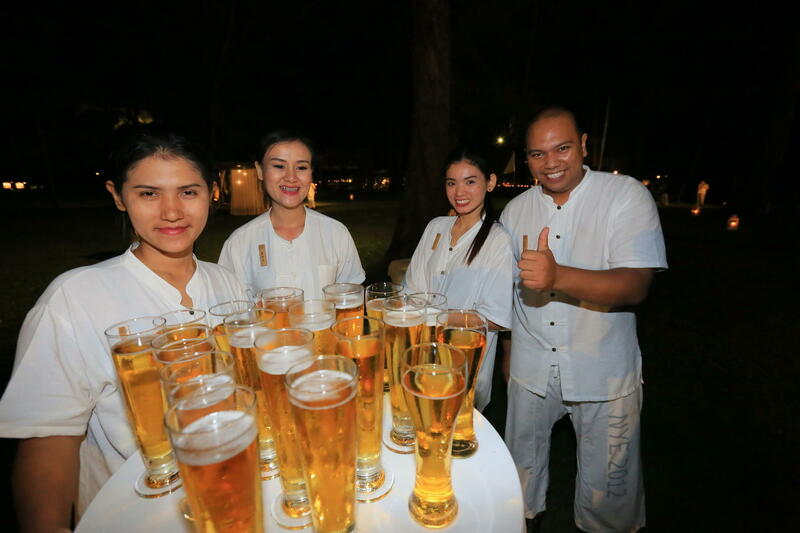 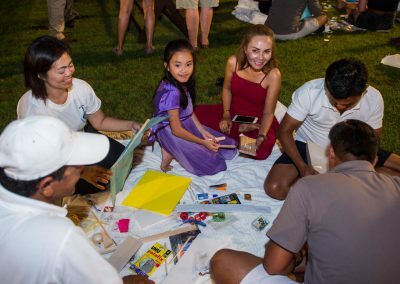 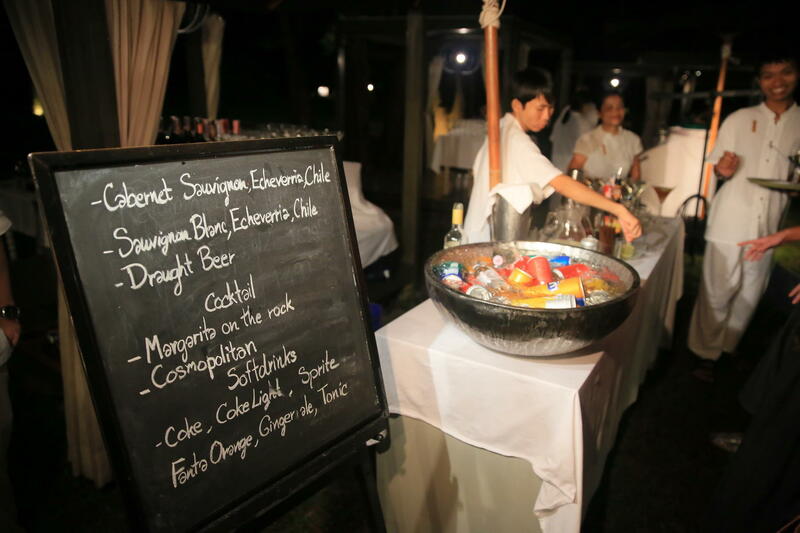 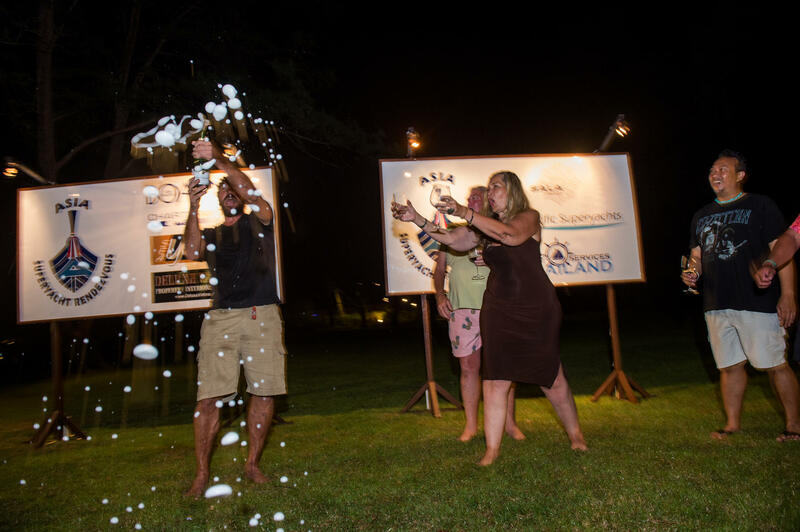 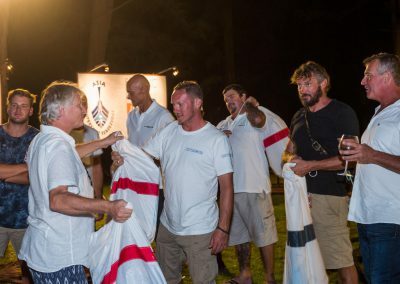 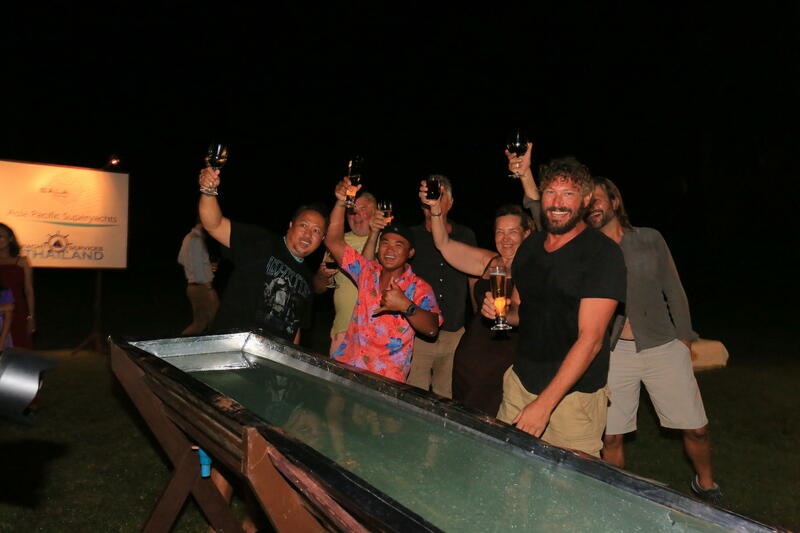 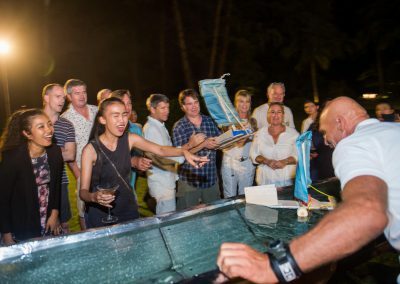 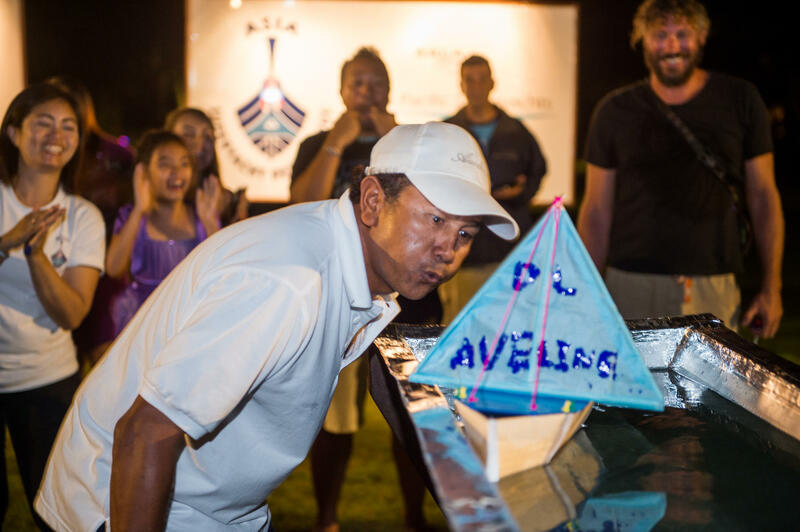 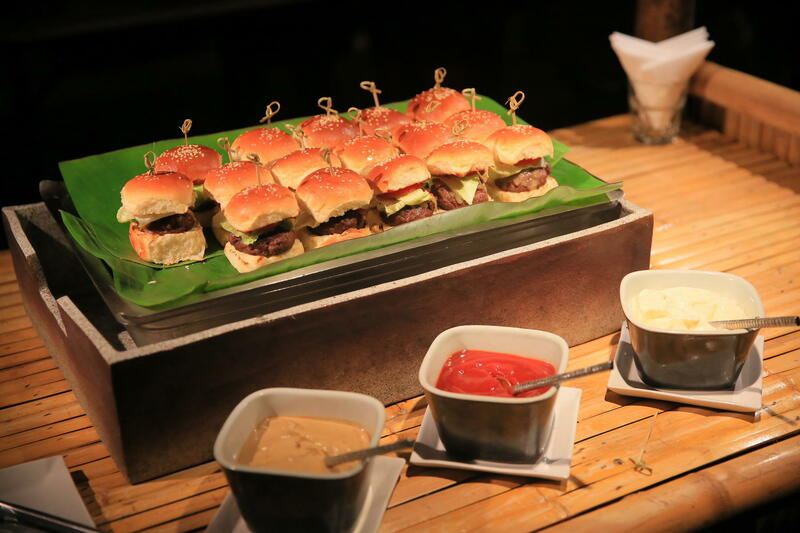 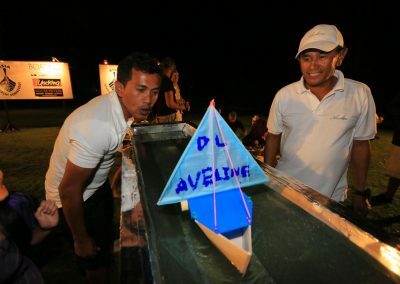 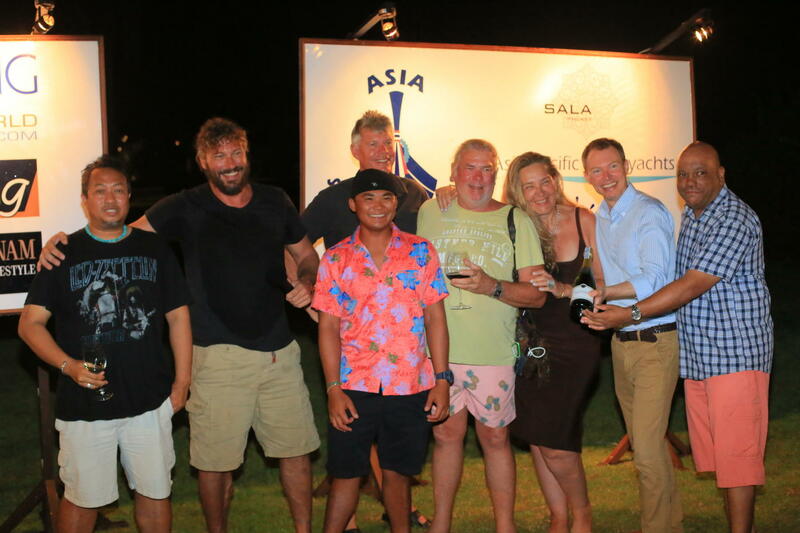 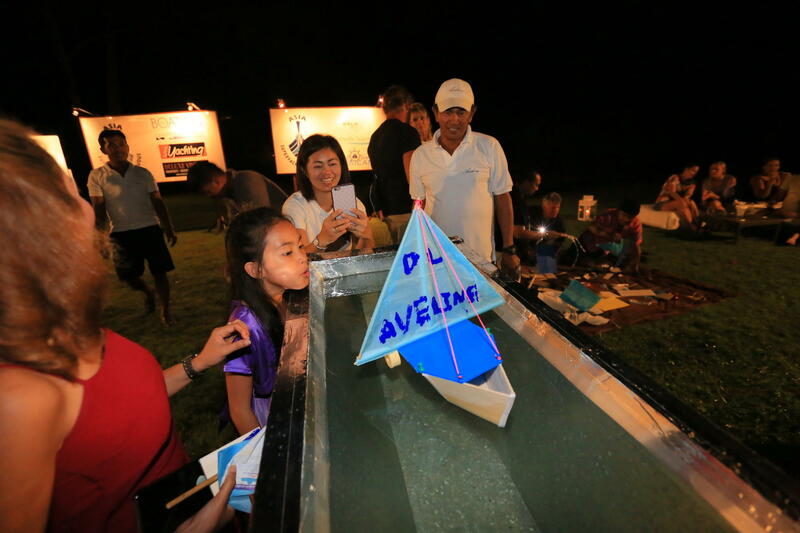 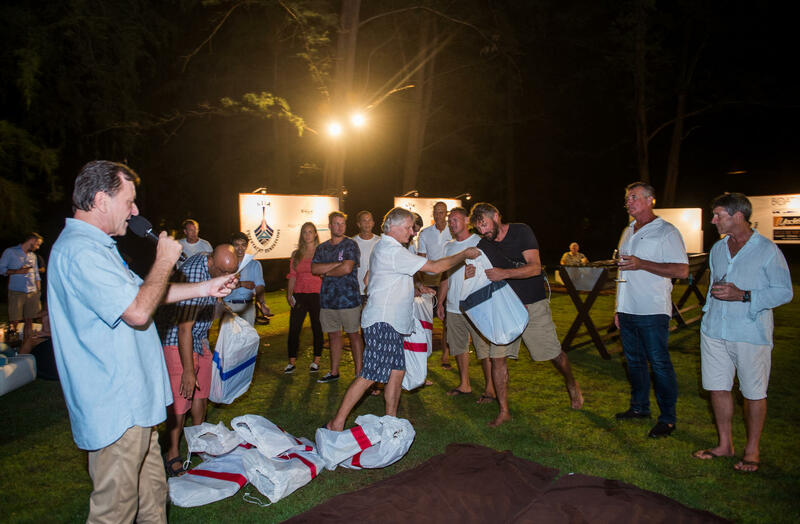 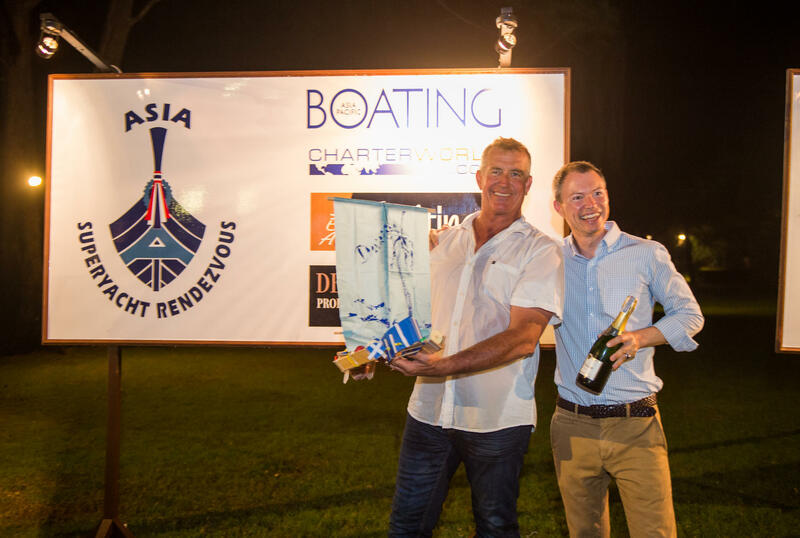 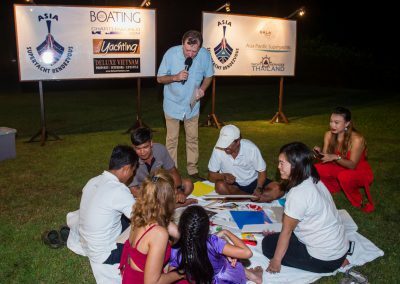 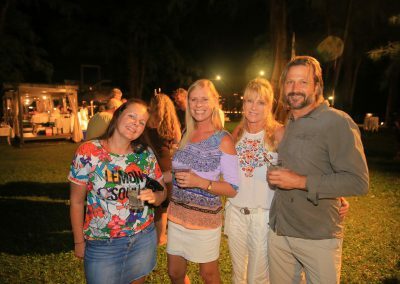 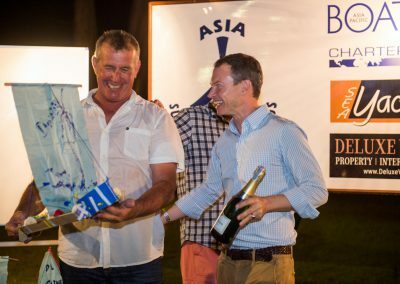 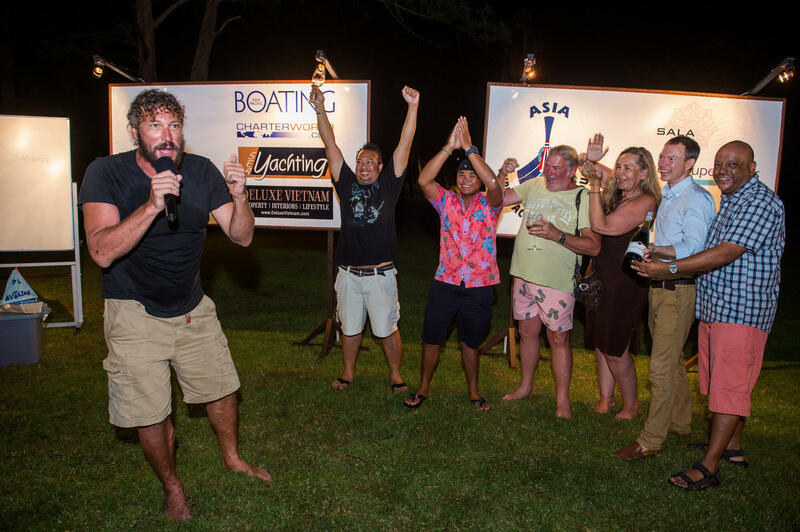 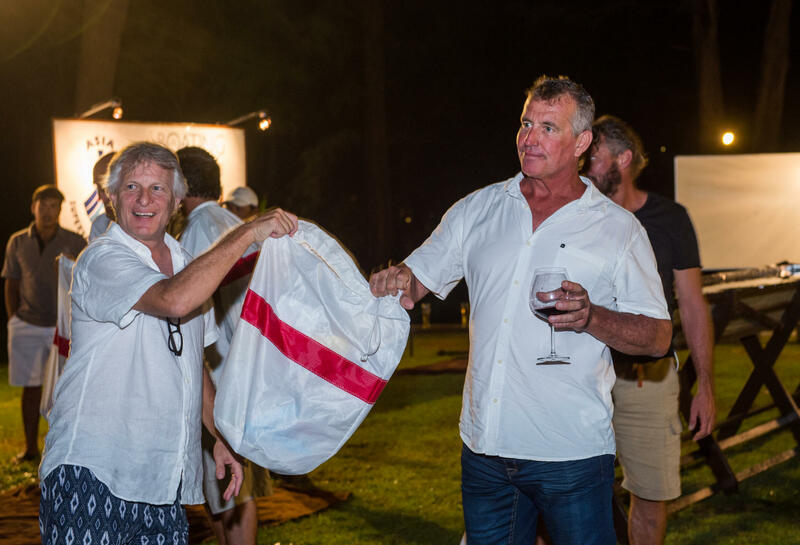 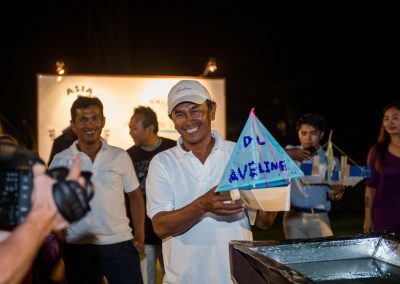 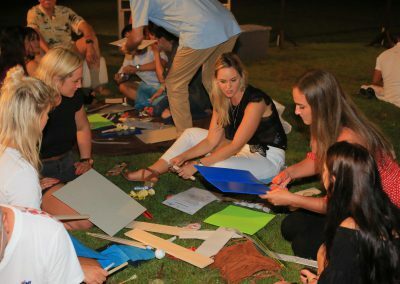 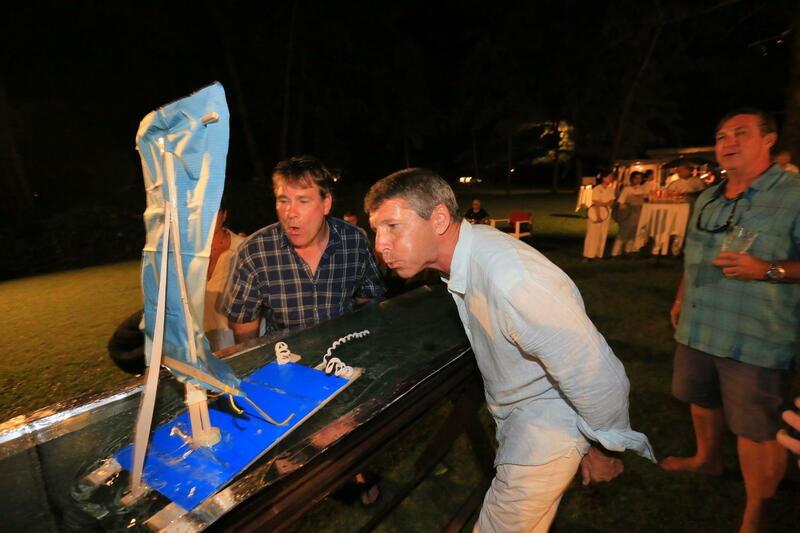 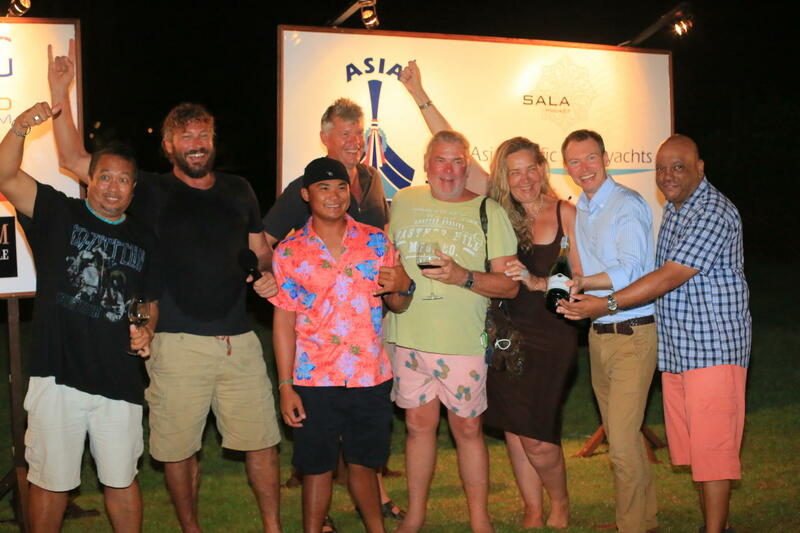 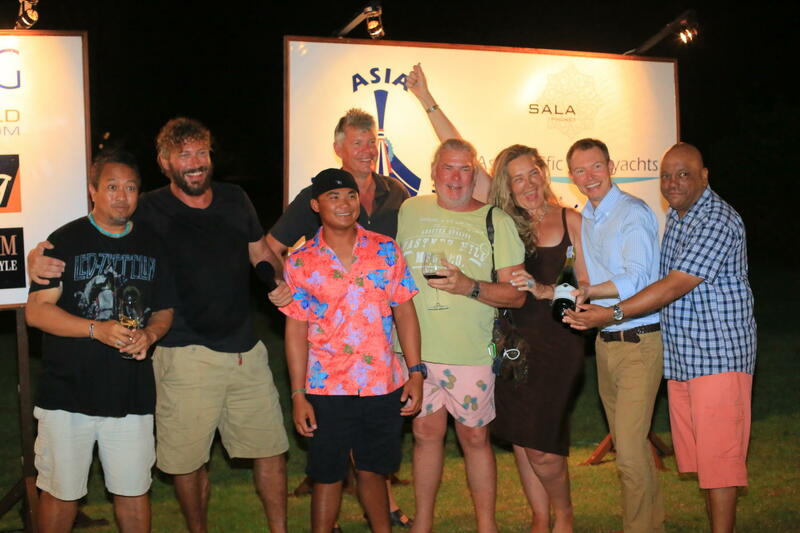 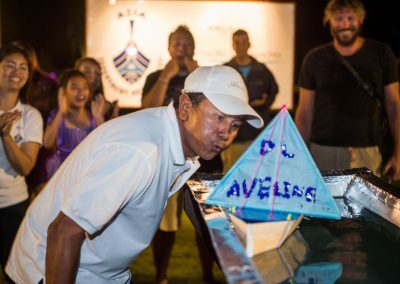 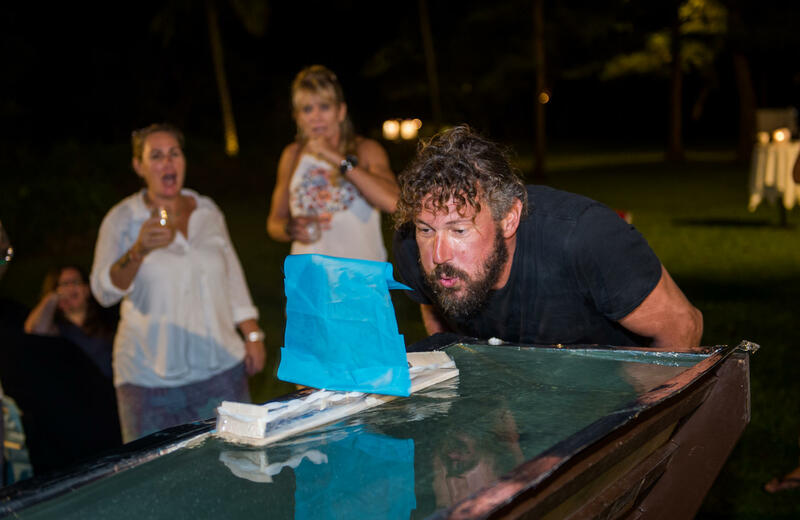 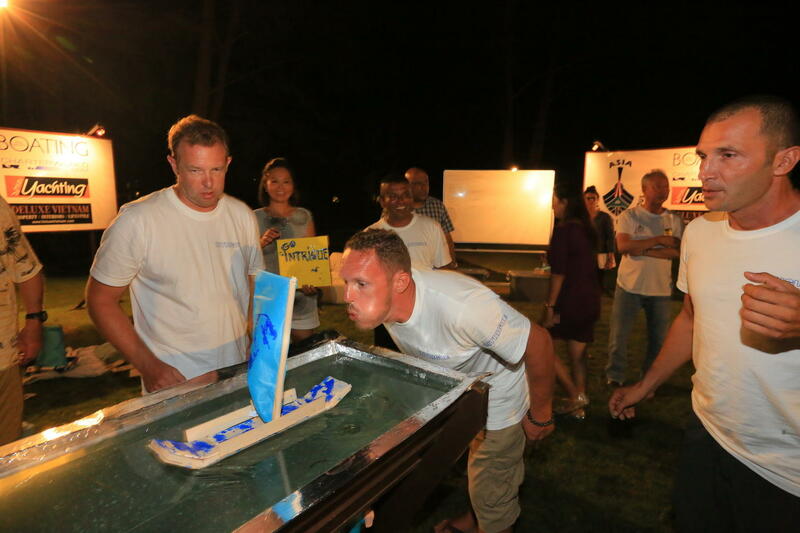 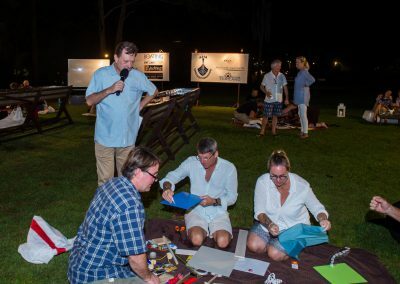 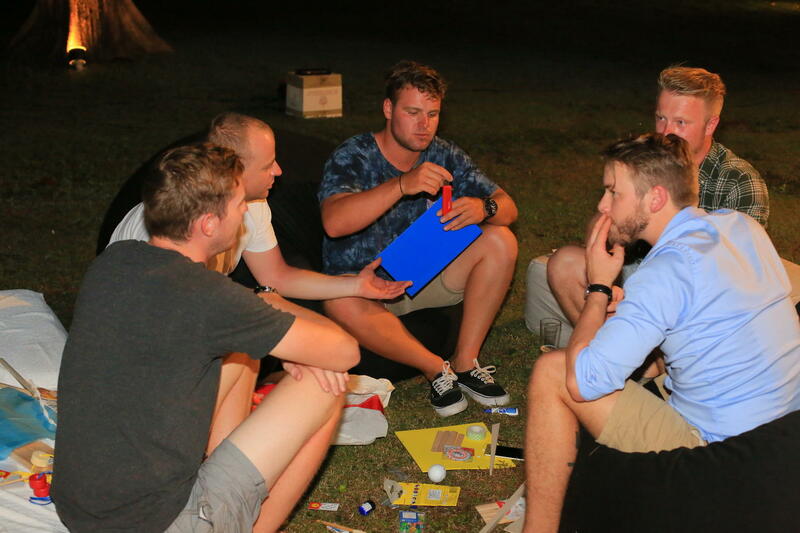 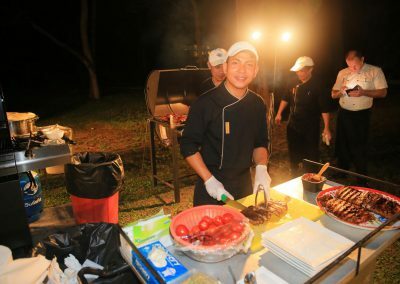 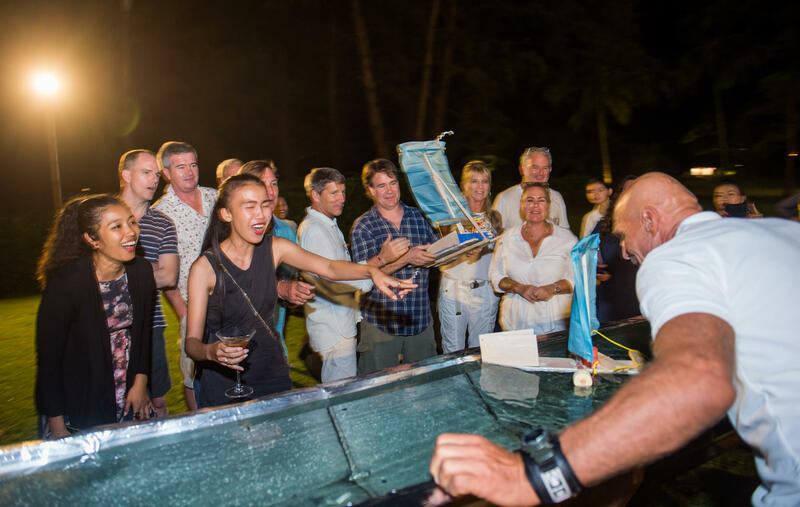 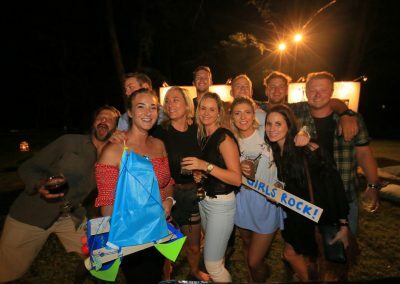 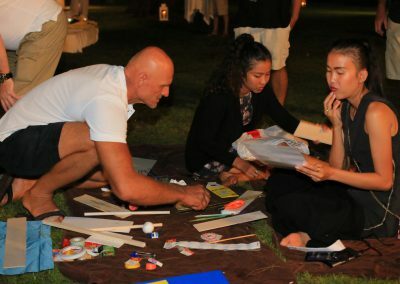 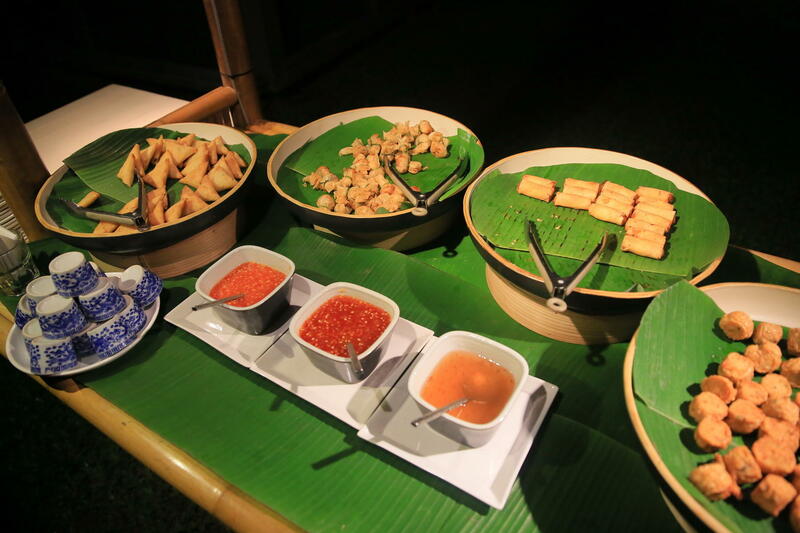 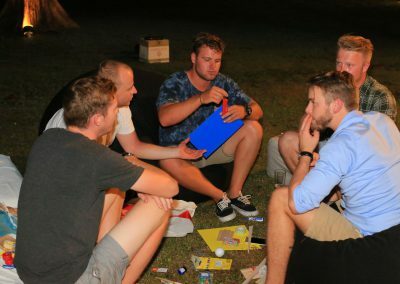 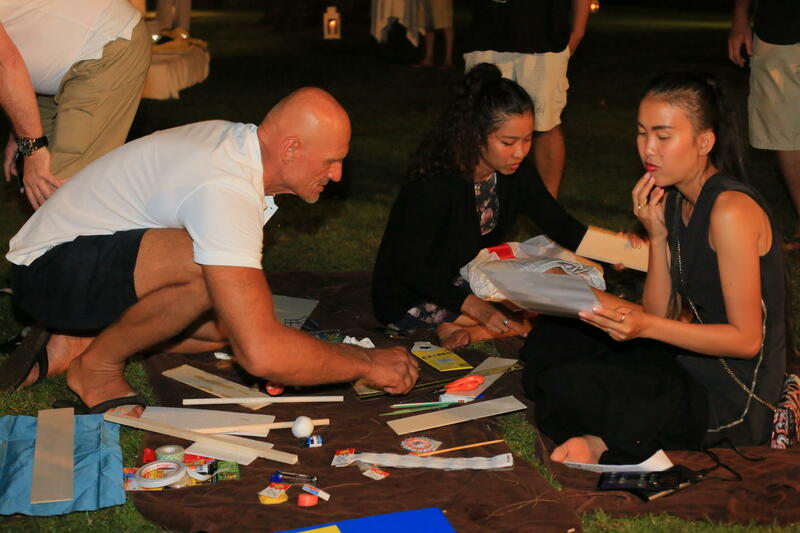 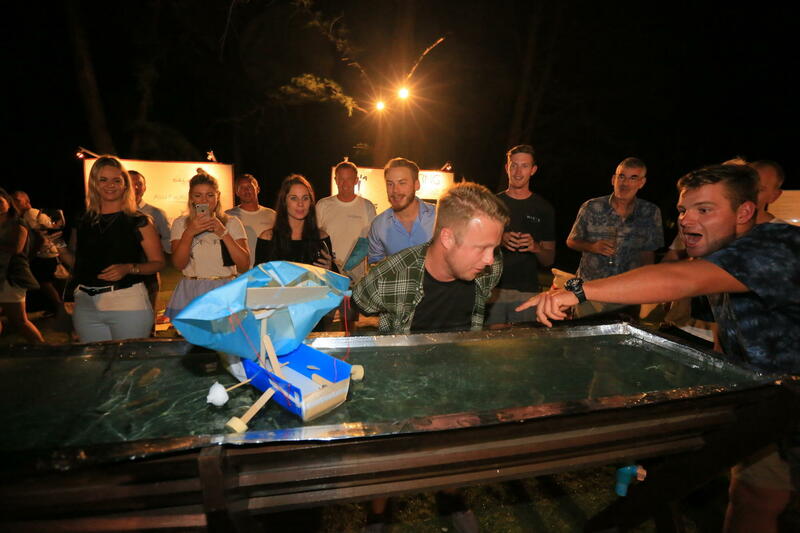 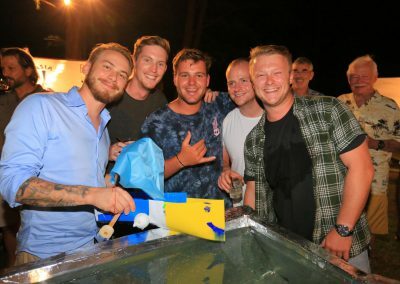 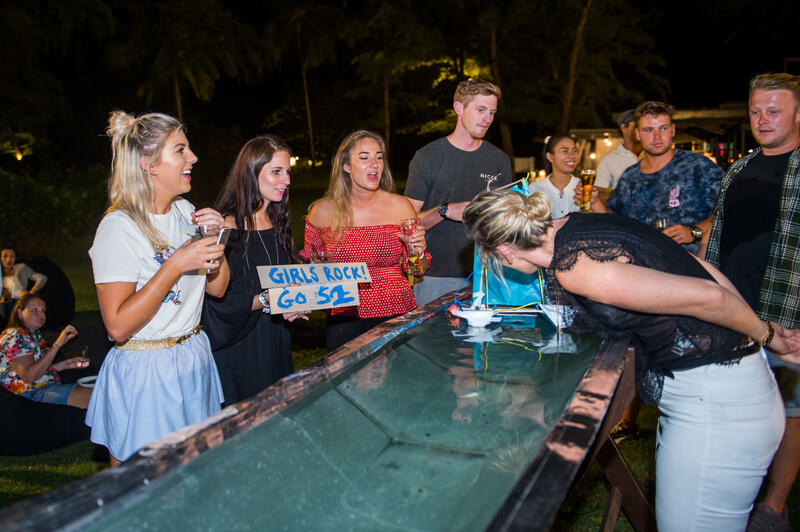 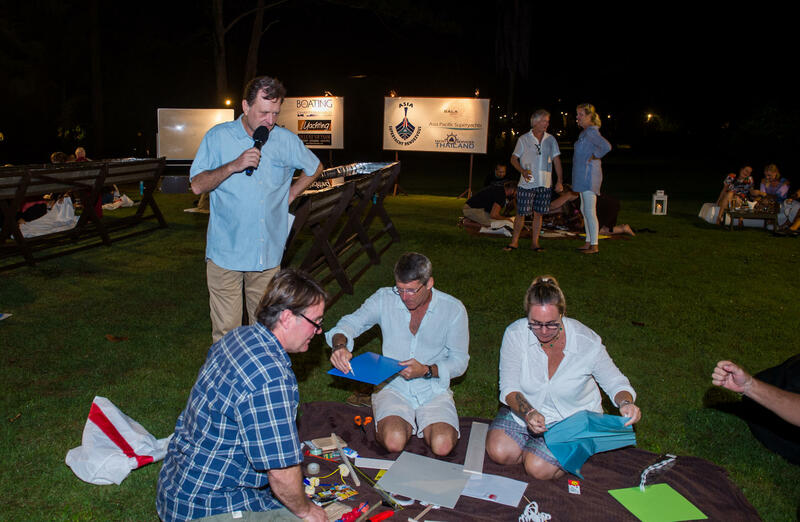 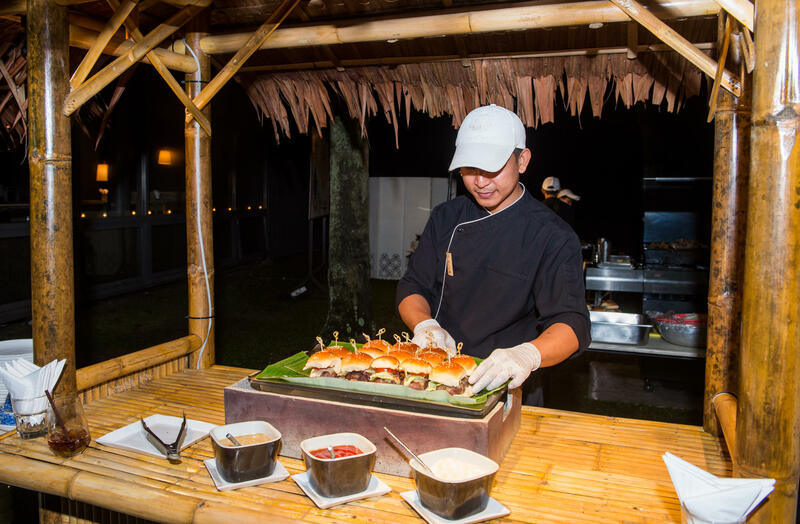 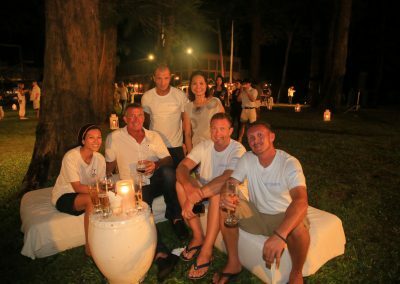 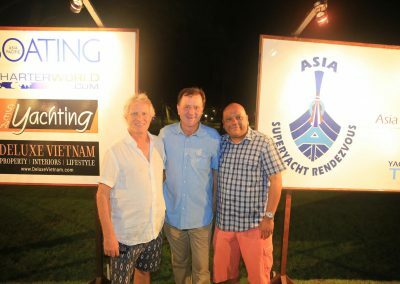 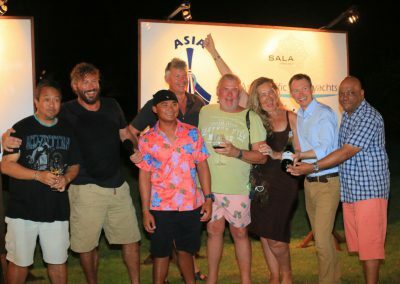 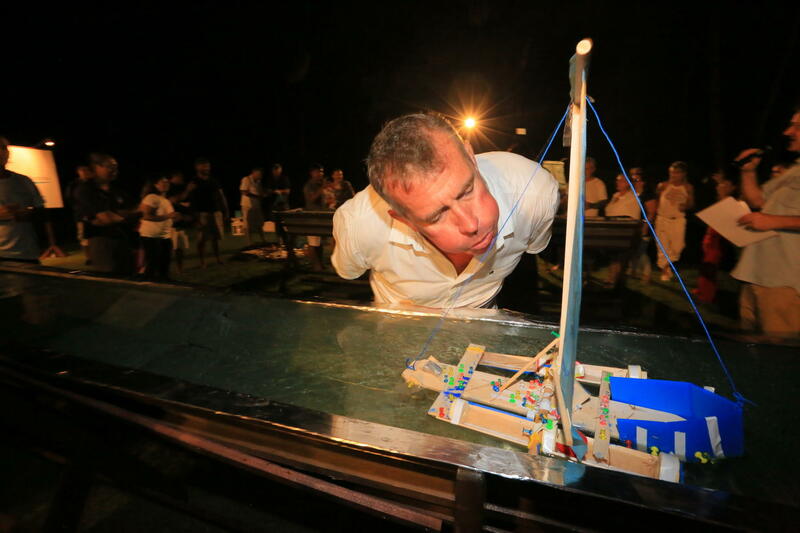 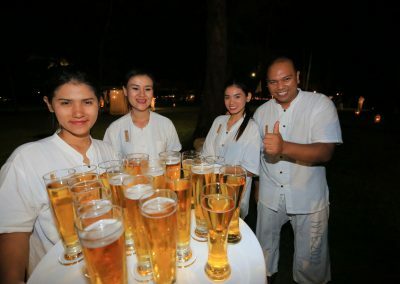 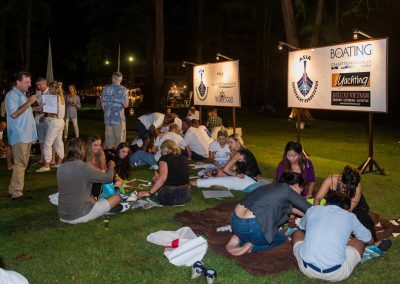 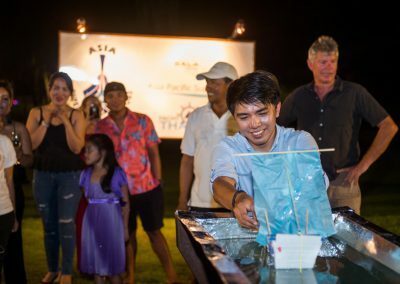 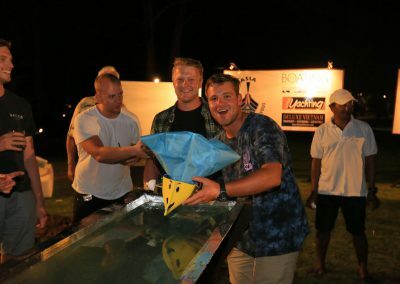 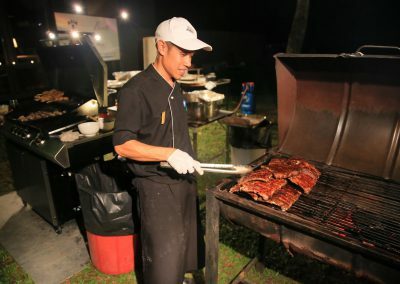 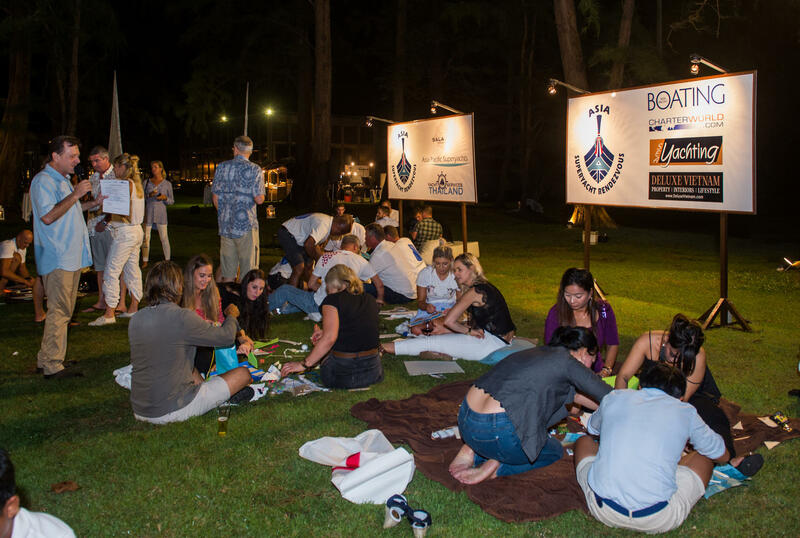 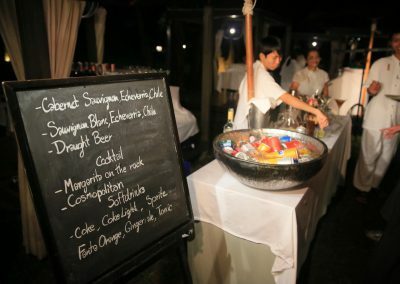 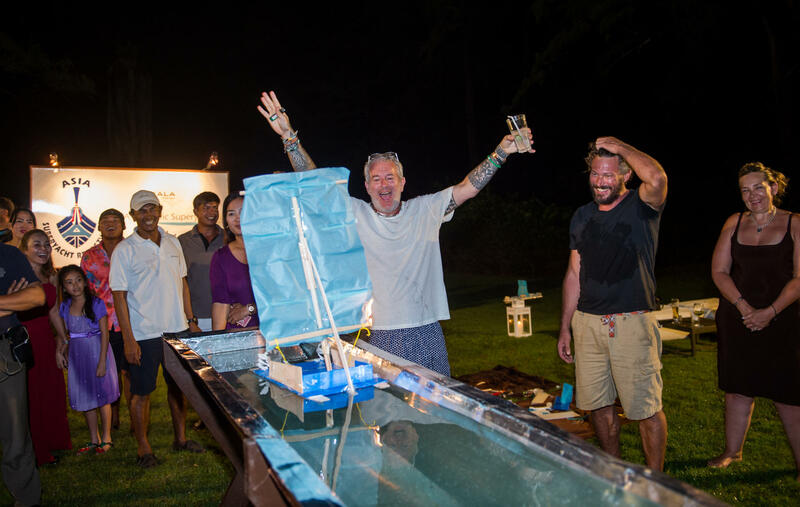 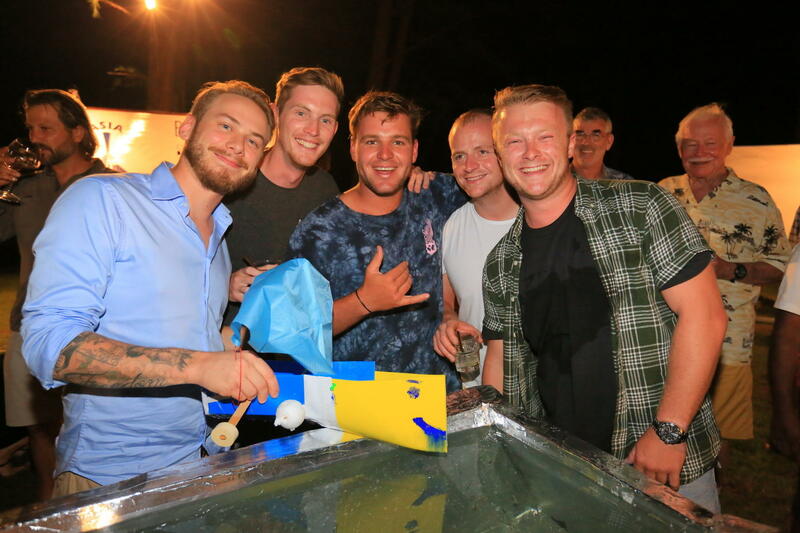 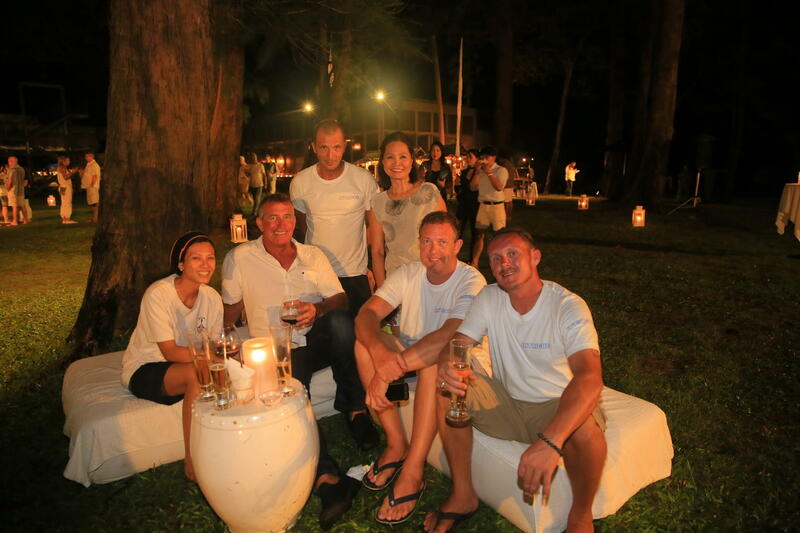 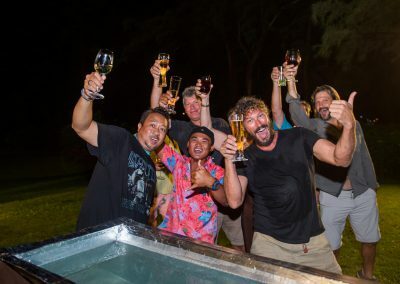 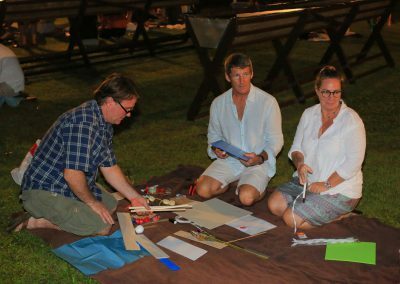 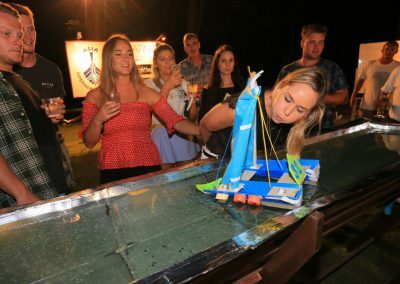 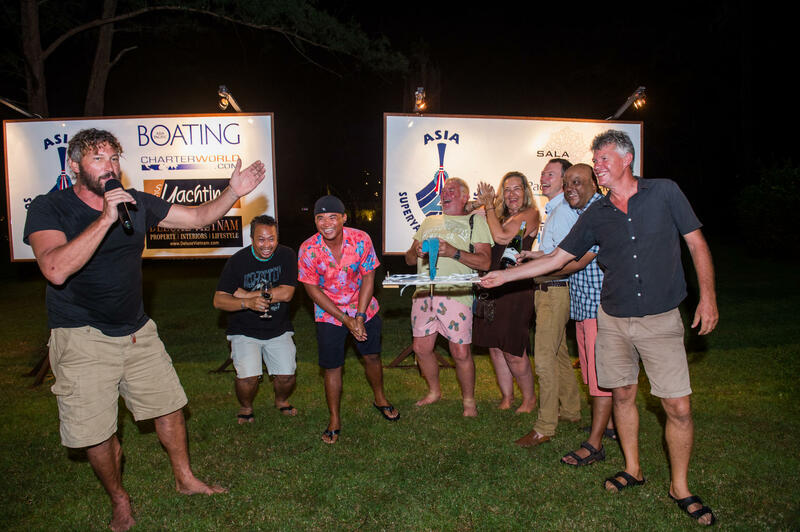 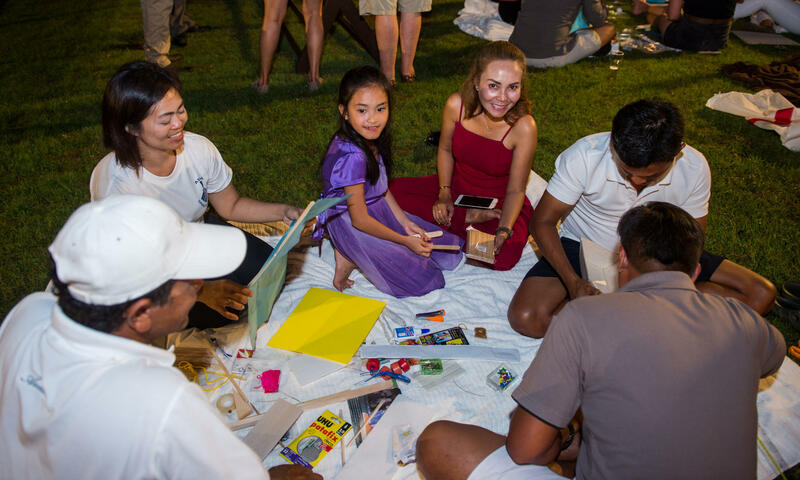 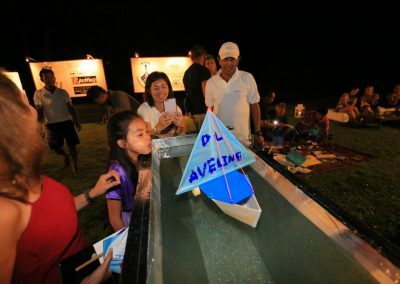 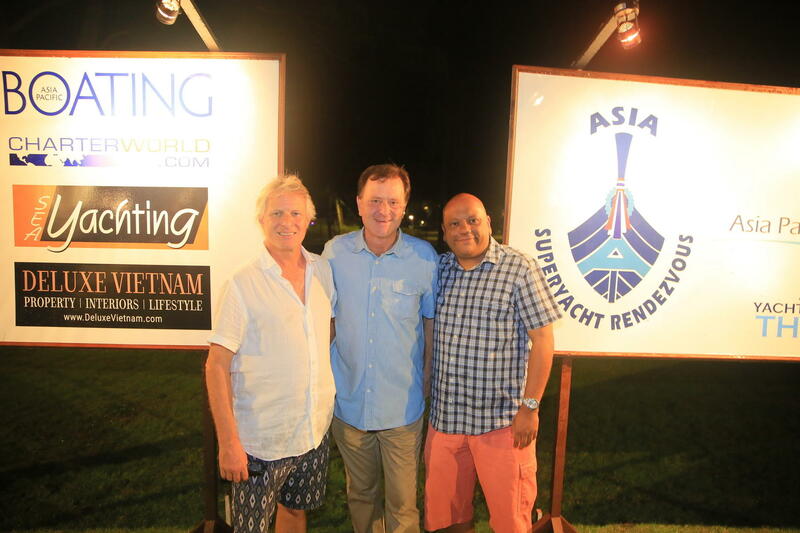 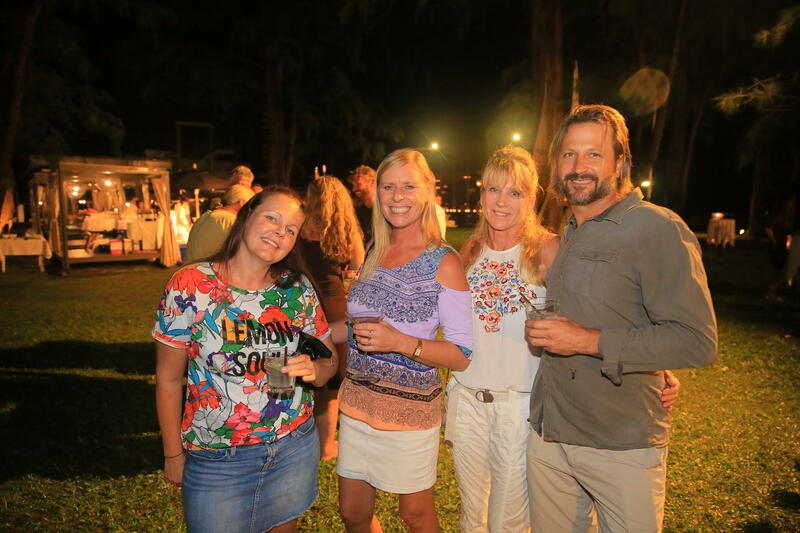 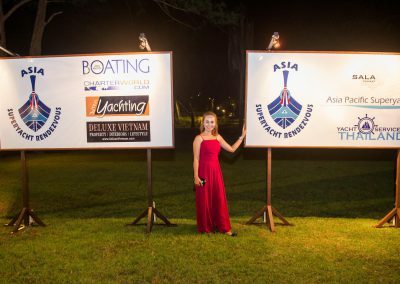 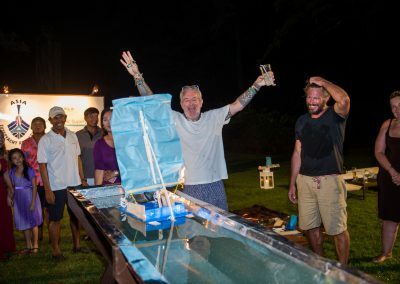 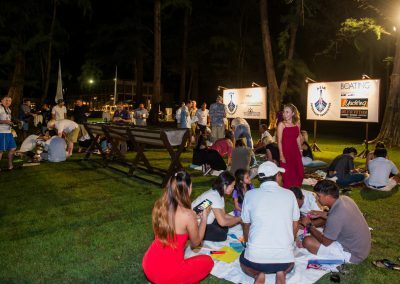 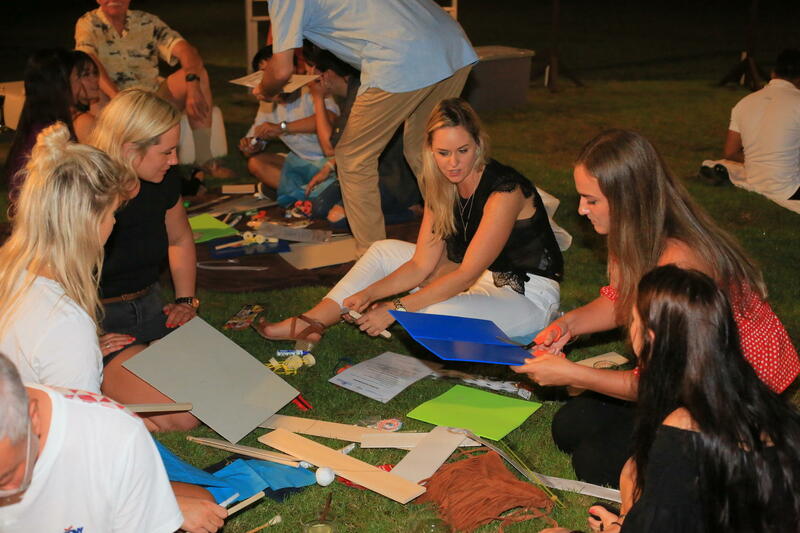 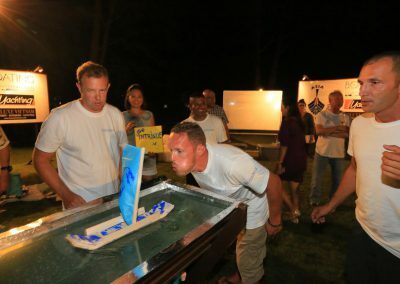 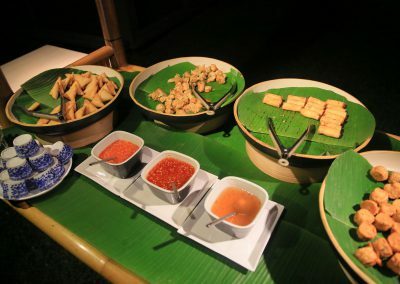 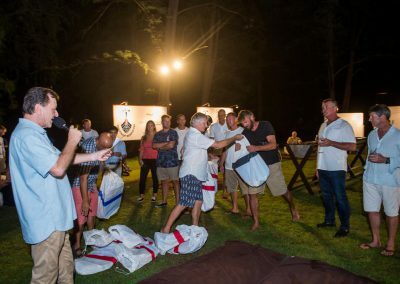 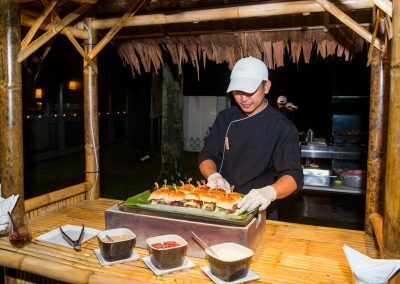 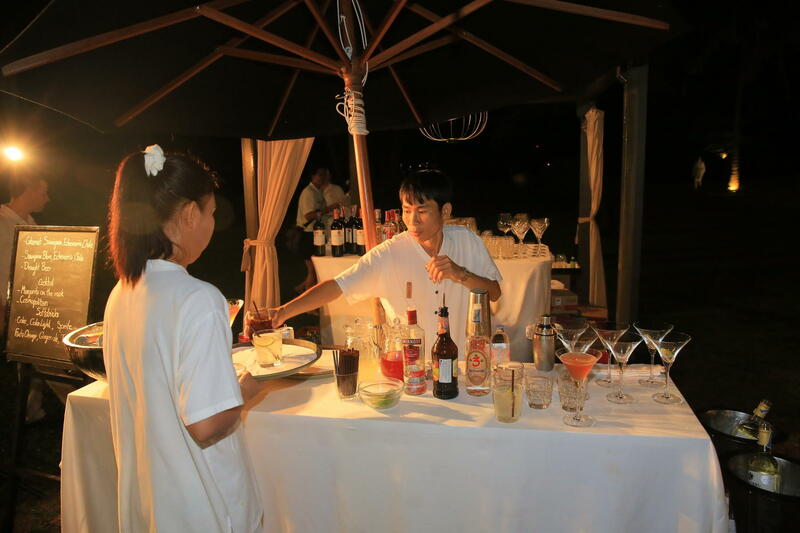 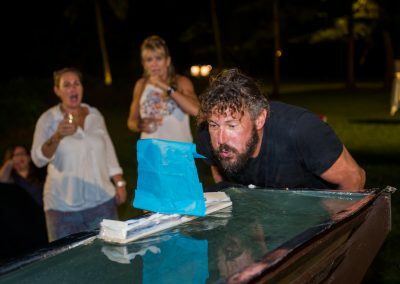 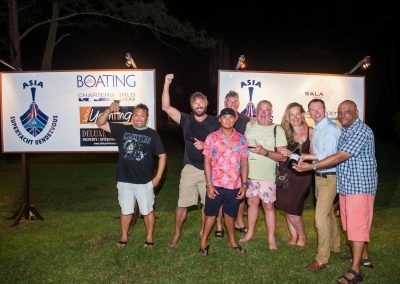 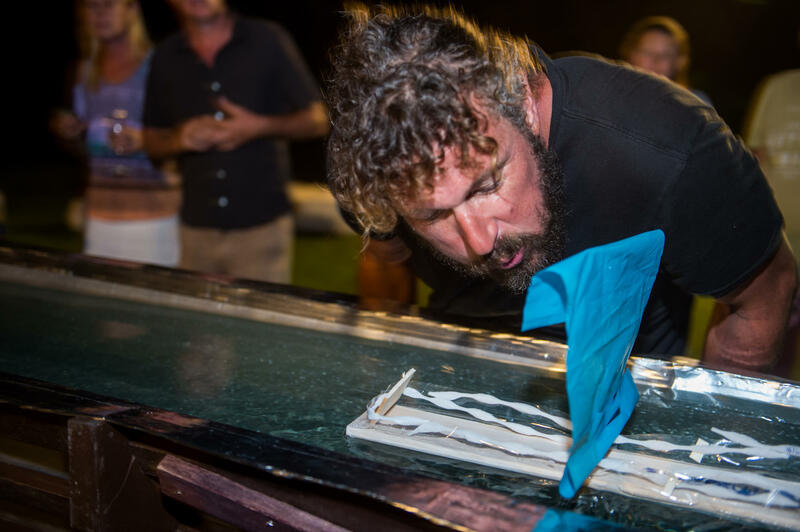 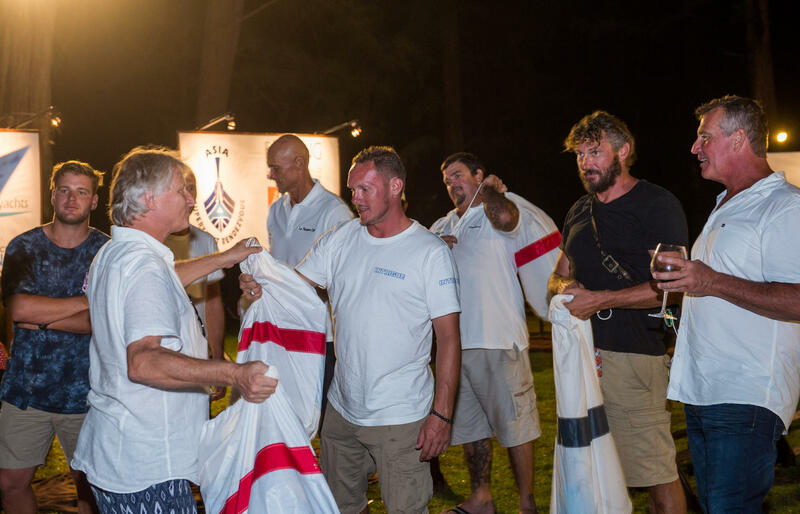 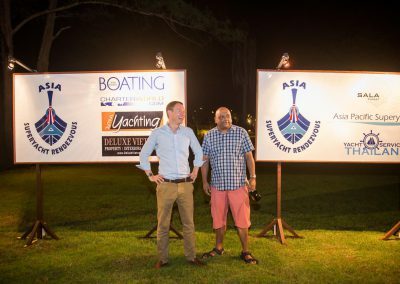 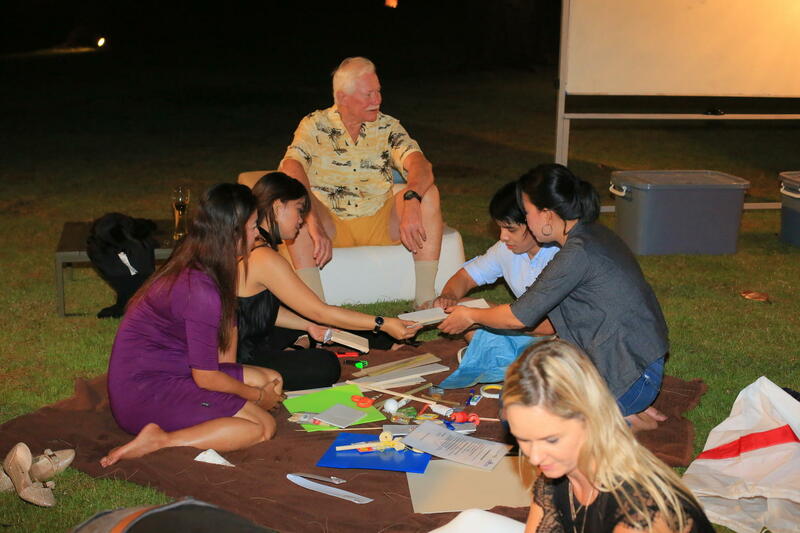 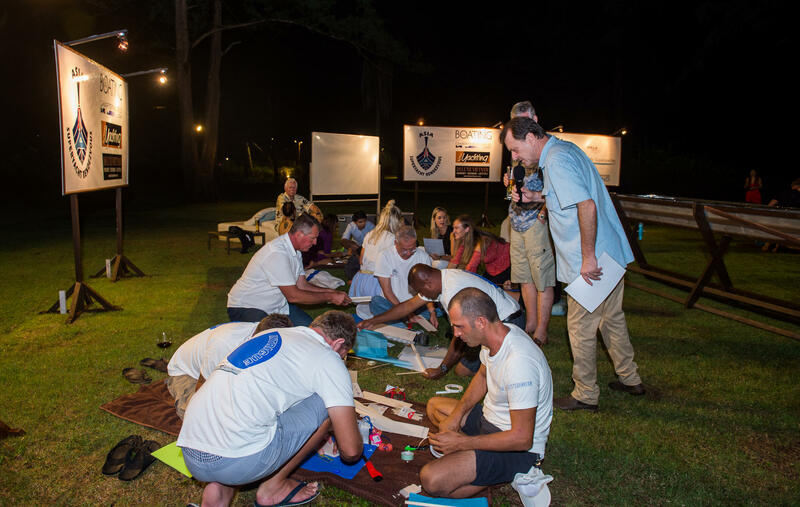 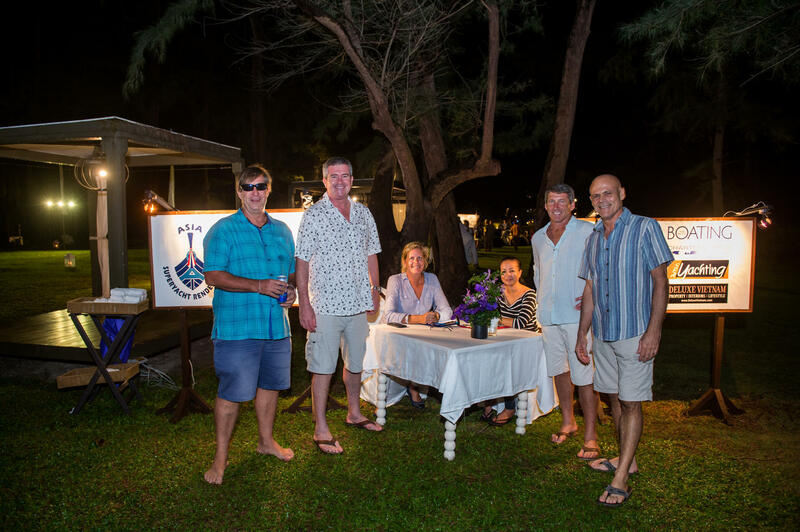 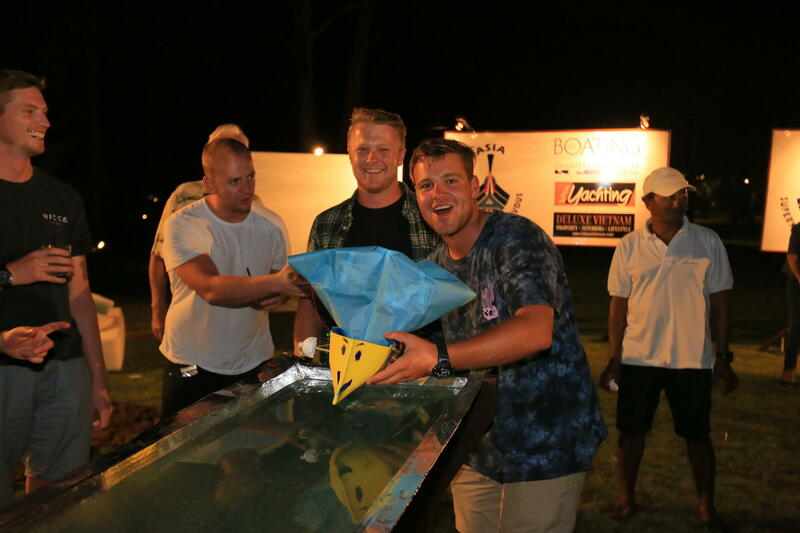 The weather cleared up and guests and crew gathered on the lawns of the beautiful Sala Phuket for “The Challenge”, where crew team off to build model yachts using random, secret materials for yet another exciting race. 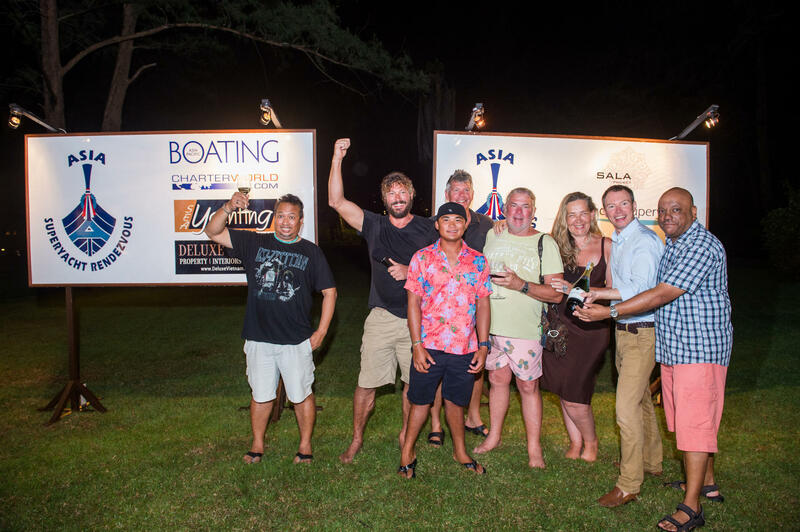 This year saw 10 teams battle it out, with the “Best Design” award going to M/Y Darling. 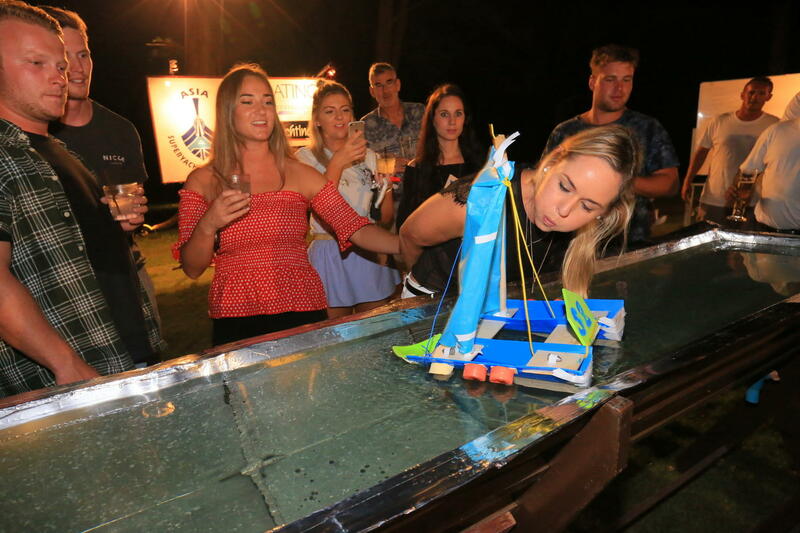 But alas, there can only be one champion and after a cheerful evening of laughter and a few sunken model yachts, it came down to S/Y Aphrodite and S/Y Seraph. 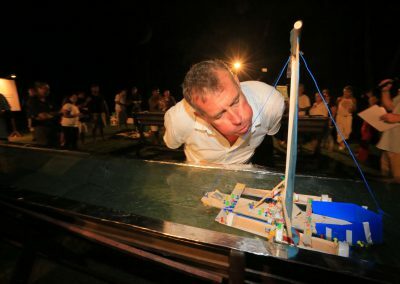 After inspection of the yachts, the intense battle began just to see S/Y Aphrodite come out on top. 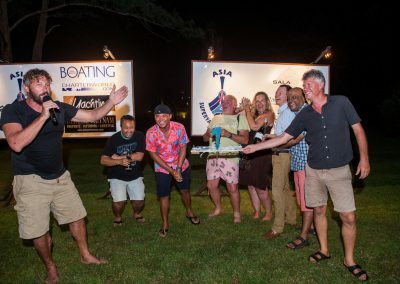 Congratulations to the winners and well done to all crew who participated, making this year’s Challenge one for the books!